For a little under six years I travelled the world non-stop. Leaving home with just a 65L backpack I quickly mastered the art of packing light and choosing function over form. 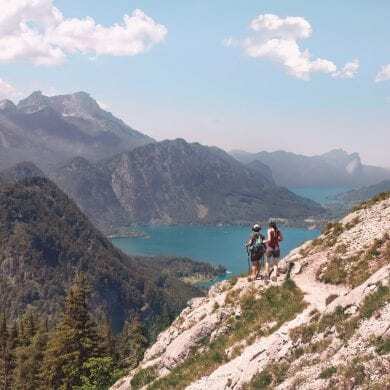 However over the last 12 months I’ve enjoyed a more sedate pace of adventure. 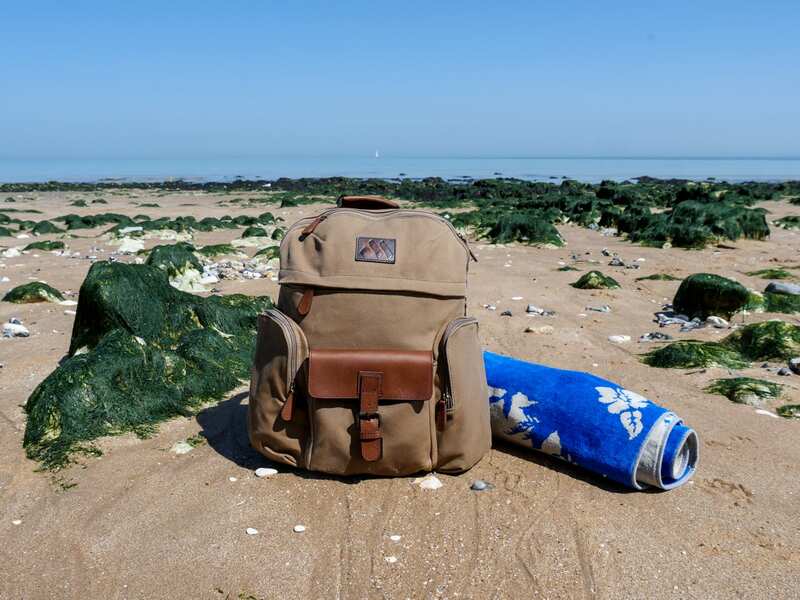 Basing myself in my native England and taking shorter trips away, I’ve started to expand my wardrobe and consequently I’ve needed to update my now tired backpack. Whilst taking more frequent trips I’ve found my carry-on luggage was lacking. Whereas before I was abroad permanently but flying infrequently, now I’m finding that I’m on a plane at least once a month and so I’ve had to be more considered in how I pack for a flight. The latest addition to my travel gear is this casual backpack by Machir and I love how functional it is. 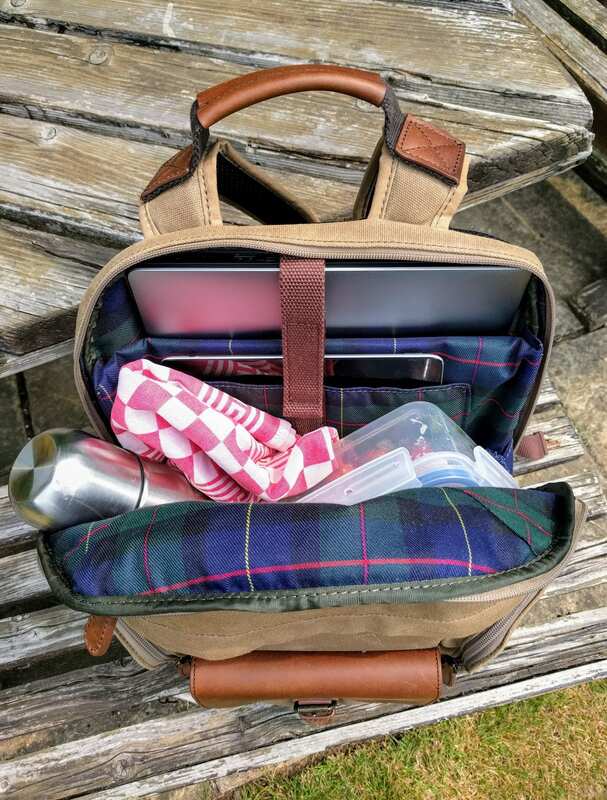 Offering tailored storage for a laptop and tablet, and providing amble room for basic camera equipment, an additional layer of clothing, and a bottle of water, it delivers the quality construction and comfort that I’ve always looked for in luggage. However it also packs some serious travel style. 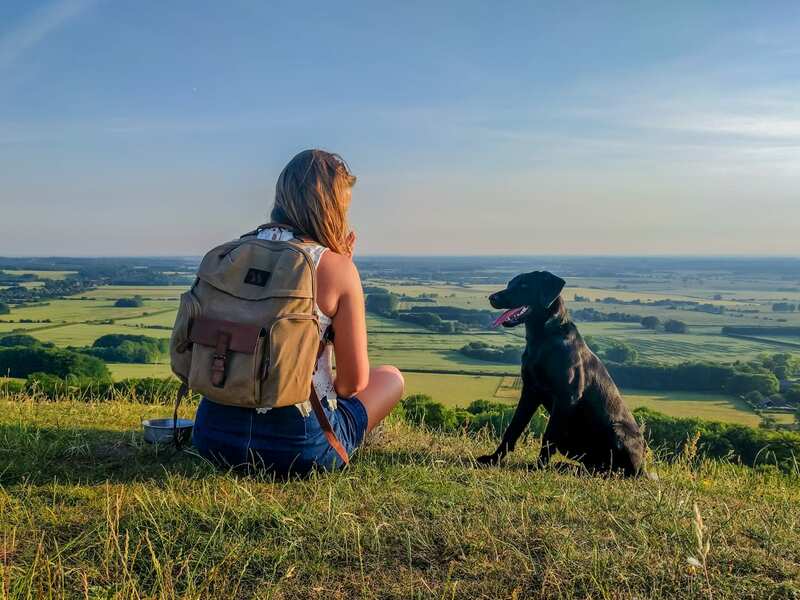 Looking for a functional day pack for your travels? 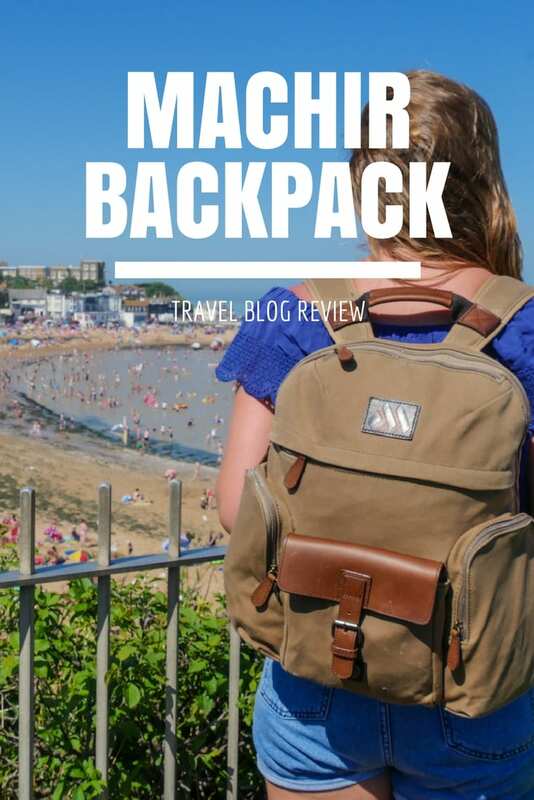 Check out my Machir casual backpack review below! 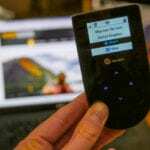 I’m an adventurous traveller, but I really hate sacrificing design for function and durability. With the Machir backpack I can enjoy all three. My favourite thing about this pack is that it looks stylish, yet it’s understated and doesn’t draw attention to you, (a bonus when in busy city or market). 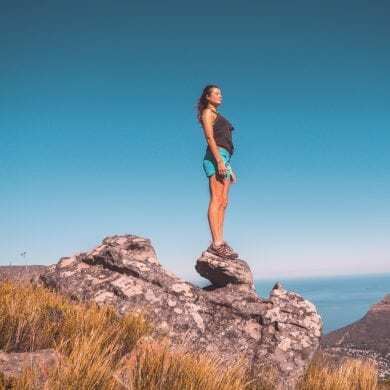 All of the zippers, the stitching, and the materials used are of great quality and seem robust; ideal for regular use and the stresses of world travel. 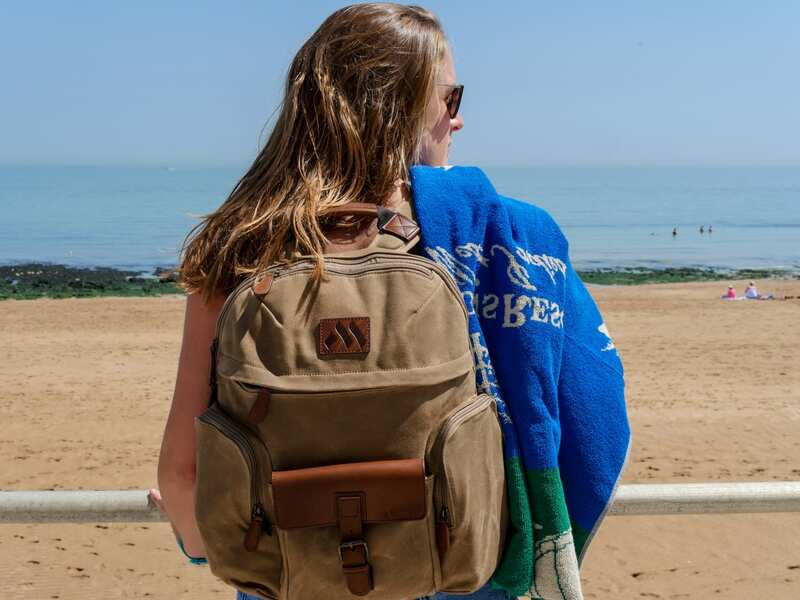 If you need a functional yet stylish backpack, the Machir Casual Collection is for you. 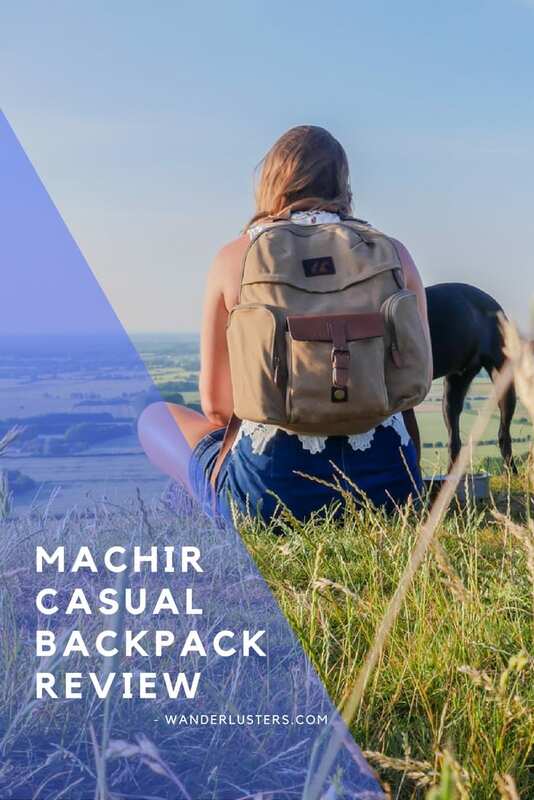 Taking its name from a biblical character who possessed determination and a no-nonsense spirit, the Machir brand has set about enriching those attributes into its products. I love that the packs are strong and sturdy, yet have intentional style, for me this is a real bonus and sets the brand apart from many others. 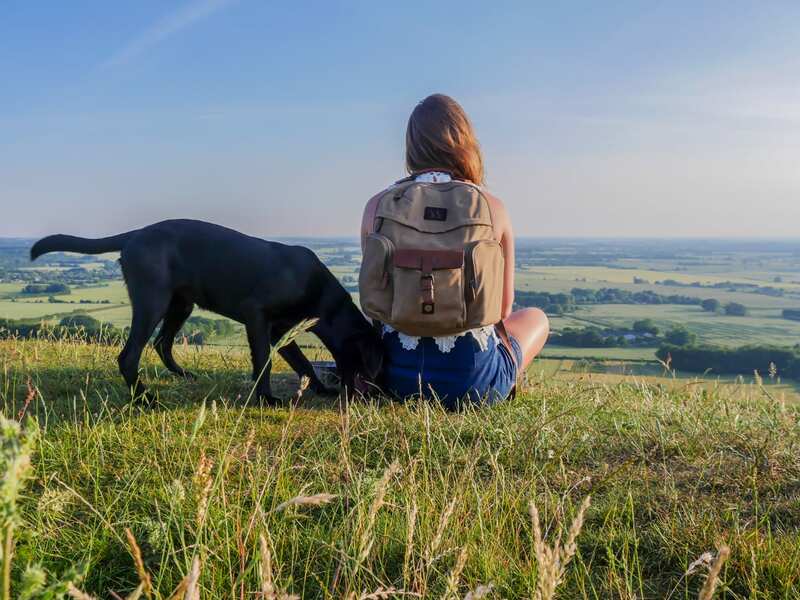 SHOP THE FULL RANGE OF MACHIR BAGS HERE. There are a range of collections offered by Machir, each one tailored to a specific kind of travel eg. business, leisure, sport, and while the practical features of each collection are consistent, all have unique style and appeal. To fully test the pack in order to complete this review I took my Machir backpack on two day trips. The first was a coastal walk and beach afternoon, and the second was a one-day hike across Kent’s North Downs Way. Here are some of the shots from my adventures. My dog Widget joined me for the second day of testing. She thoroughly approved of the backpack because I was able to carry her water bottle and bowl with ease! Constructed of cotton-canvas and lined with plaid cotton-fabric the pack is accented with a leather grip and centre pocket. The large interior compartment has tailored housing for a laptop and tablet (my 15 inch Dell laptop and 12.9 inch iPad Pro fit neatly inside), as well as ample storage for other items. 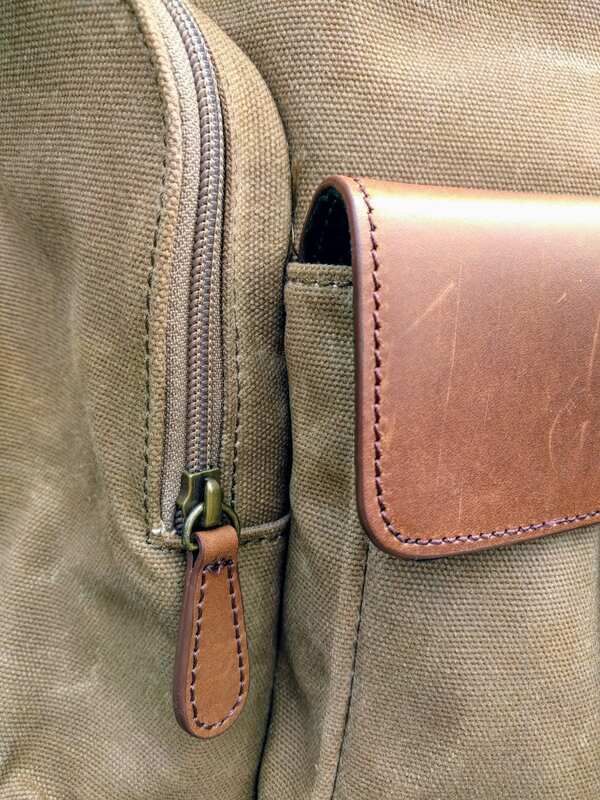 Additionally there are a further three exterior and two internal pockets; two external pockets are zippered and the larger centre pocket is on a pop-lock, and two additional zipper pockets can be accessed from the top exterior of the pack. The only feature I’m not entirely thrilled with is the pop-lock on the front pocket. For a frequent traveller like me this takes away the value of the additional storage because of safety concerns. In large crowds and urban spaces I would be worried about losing the pocket’s contents to an opportunistic thief – although the lock is disguised as a leather buckle which could deter pick pockets from attempting the lift. 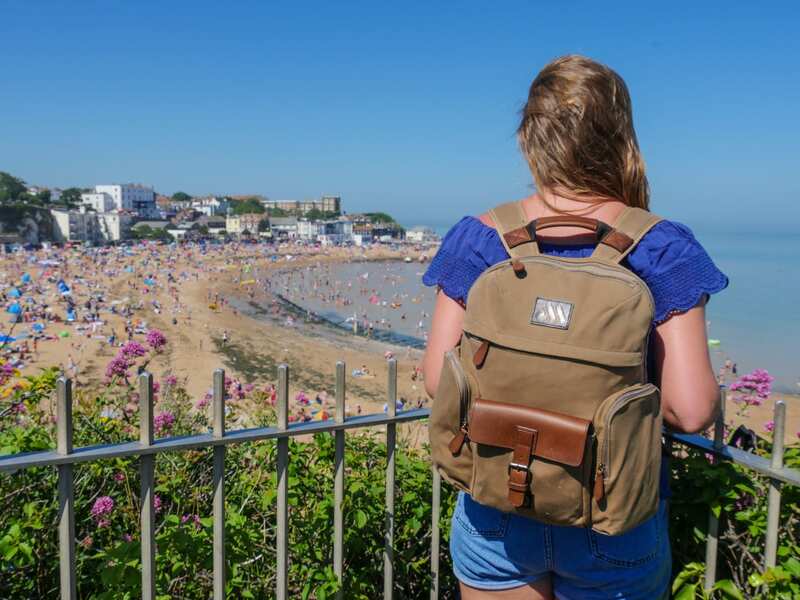 Overall I am thrilled with the backpack and it has already become my go-to bag for days out and short-haul trips. I rate it 4 out of 5 stars and would recommend it to anyone looking for a more stylish day-pack. 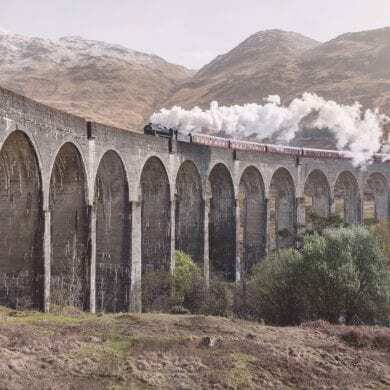 This post was written in partnership with Machir. As always, thoughts and opinions expressed here are entirely my own.